Vinyl banners are printed in full color on a high-quality 13-ounce vinyl banner material. Banners.com prints custom sizes up to 16 by 50 feet and includes hems and grommets for easy hanging. Banners can be displayed indoors or outdoors for advertising and events. You can customize a template in the online designer, upload your own print-ready artwork or work with a graphic designer. Two-business-day production with fast shipping in the United States. The 324E skid steer is the newest addition to the mid-frame E-Series line of skid steer loaders and compact track loaders, packing all of the performance features of its larger-framed siblings into an agile, ultra-efficient, compact design. Key highlights of the 74-horsepower 324E include upgraded controls and boom performance, auxiliary lines that are integrated through the boom for improved visibility and added protection, and cab improvements aimed at improving operator and machine productivity, uptime and lower daily operating costs. Dri-Dek's anti-skid, self-draining surface keeps wet floors dry. It's perfect in pool areas, showers, locker rooms and barefoot walkways. Dri-Dek is made from anti-microbial oxy-B1™ vinyl to help control infectious bacteria, mold and mildew. Just snap the 12-by-12-inch interlocking tiles together to form a custom surface of any length, width or shape. Now available in 12 colors: Blue, Pool Blue, Gray, Hunter Green, Kelly Green, Black, Almond, Burgundy, Teal, Red, Yellow and White. Polly Tuff Easy Access picnic tables have no framing to restrict end seats or knees and are best for safety with slide-in access. One person can move the table—frames slide instead of digging in, and at 320 pounds, it is heavy-duty and stable. ADA version is available. Features recycled plastic and stainless hardware—won't dent, rust, rot or peel, and it's non-porous and graffiti-resistant. Outlasts expanded metal, wood and concrete. The new Mobile WaterLink® Spin Touch™ (Code #3580) water analysis lab is designed to be used on-site by pool operators and service professionals. 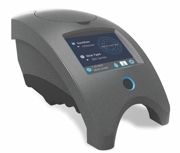 The photometer can measure in just 60 seconds all the tests needed to obtain perfect water chemistry. The rugged photometer is packaged in a durable waterproof carrying case. Sprung structures are the ideal solution for immediate, high-performance and cost-effective recreation buildings. The Sprung structure features DuPont Tedlar architectural membrane tensioned within a frame-supported aluminum substructure. R30 Johns Manville insulation provides an energy-efficient building envelope. Daylight panels in the peak provide an optimum playing environment. Proven technology with more than 12,000 structures erected in 100 countries. Structures available immediately from inventory from 30 to 200 feet wide by any length. Belson Outdoors is a premier provider of high-quality commercial outdoor bike racks that are innovative, practical and aesthetically pleasing. Belson is here for you, whether simply getting ideas for a dream bike room or finding that specific rack for a streetscape, campus or community park. Your Outdoor Superstore® provides a wide variety of bicycle racks, bike parking and bike storage racks to help any facility utilize the best bike rack to satisfy parking requirements. A trusted source for more than 30 years, the 2016 Recreation Supply Company catalog offers a complete selection of products for your commercial swimming pool facility. Within its 152 full-color pages you will find rescue equipment, fitness gear, pumps, filters, deck equipment, vacuums and much more. Most in-stock orders ship the same day. Call "The Pool Supply Specialists!" for competitive prices, fast shipping and friendly customer service.